Round solder wire, especially flux-cored, has been a mainstay of the electronics industry ever since electronics came into existence. Round solder wire is pretty much something that we take for granted and do not ever give much thought to. Indium Corporation is blessed to have a multitude of innovators, at many levels, within our company. Thinking outside of the box is something that we do quite well....sometimes driven by customer need....and sometimes because we just want to. This blog post has more to do with the latter. So, some of our folks decided to make square solder wire. That's right!!! Square, as in a cross section that has four equal length sides and four right angles in all four corners. (The solder alloy used for this project was 58Bi 42Sn that melts at 138°C.) The question that I am left with is, "Why?". 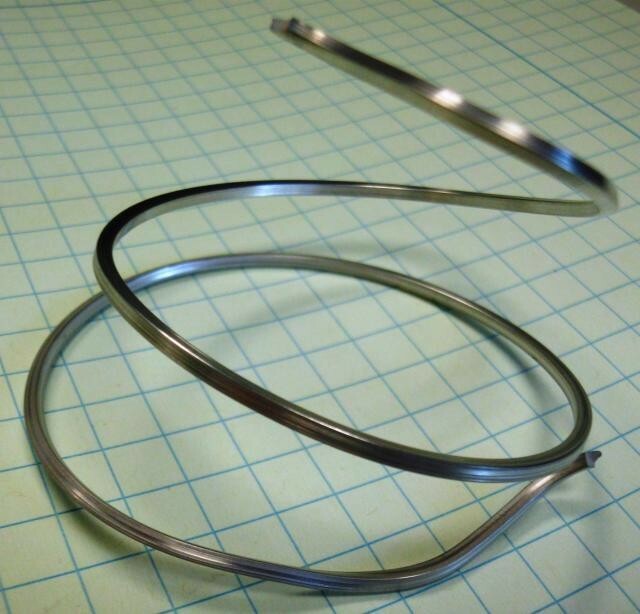 Why would a square solder wire be any more useful than standard "run of the mill" round wire? Even as a technical support engineer, having been exposed to thousands of applications over my 13+ years at Indium Corporation, I am still left wondering where such a product would be used. And, so, I pose this question to you. I am very interested to hear your ideas and comments about the possible uses of such a product. Please comment or email me at ebastow@indium.com.